Legrand, specialist in electrical and digital building infrastructure, has become the first manufacturer in the electrical industry to earn the new BSI Building Information Modelling (BIM) Objects Kitemark. The kitemark is designed to help manufacturers demonstrate that they have embedded BIM into their manufacturing processes and are delivering high quality BIM objects. The new BSI Kitemark will validate the digital version of a manufacturer’s product, which is required for construction projects. It will also demonstrate that the dimensional, performance and specification data has been validated, that products have been presented and structured correctly and using standardised templates. For designers and specifiers, the real advantage of the BSI Kitemark is the ability to be able to quickly identify accurate digital objects which are found and searched for within BIM libraries and on manufacturers’ websites. It will also provide a level of confidence that the manufacturer’s processes meet the requirements of BIM and that the object will function properly when placed within a digital model. By verifying the BIM object beforehand, the accuracy of the design and installation can be improved, significantly reducing the cost and time associated with returning and replacing products that don’t fit the original specification, as well as time spent sourcing and validating data. In order to achieve the BSI Kitemark for BIM Objects, manufacturers will be independently assessed against the requirements of BS 8541 Library objects for architecture, engineering and construction (parts 1, 3 and 4) by BSI’s technical BIM experts. Organisations holding the Kitemark will also be routinely assessed. The BSI Kitemark for BIM Objects is available to all manufacturers that have a quality management system equivalent to ISO 9001, the Quality Management Systems standard. 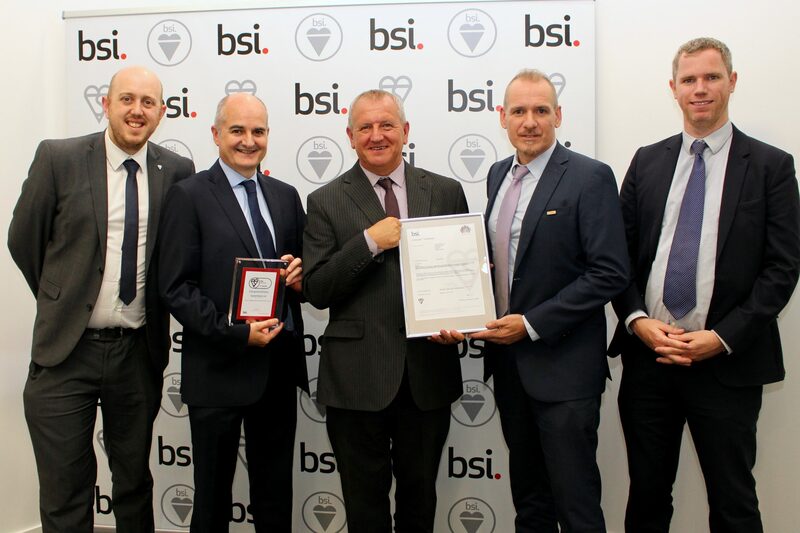 “We are delighted to be the first manufacturer in the electrical industry to achieve the BIM Object Kitemark, demonstrating that our robust set of processes for the production and management of BIM objects meets the requirements of BS 8541 parts 1, 3 and 4,” comments Tony Greig, CEO at Legrand Electric, of the accreditation.